A few weeks ago I posted on Facebook about my top 5 albums for 2012 (so far) and then realized I haven't discussed three of them on this little blog of mine. That changes today. Two of those five have already been featured and you can read about fun. and Alabama Shakes at their respective posts. Now, I have to reiterate that we still have plenty of time left in the year so this could all change. But for now, here the selections to round out the top 5. Let’s start with admittedly one of my favorite releases this year, one that I had “anticipated” since January. 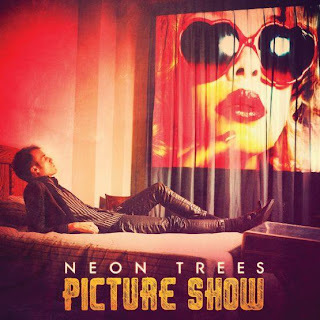 Neon Trees had one of the best debuts in recent memory with 2010’s Habits, spurring a few radio friendly singles with “Animal” and “1983.” But it contained a deceptive pop sound to it as deeper cuts on the album proved the band was more than one that could provide a hit for a movie based on teenagers dancing. With “Everybody Talks,” the first single off of Picture Show, it seemed like they were going to repeat the same success. But the same deceptiveness came into play and Show opened up a world of the Trees moving forward while nodding to the past. A majority of the album could appear on movie remakes of those that were popular in the 80s. “Touch” is the definitive track on the album, featuring synthy beats and cocky vocals straight out of a time when Tom Cruise was on the cover of teen magazines. If you like that track, then the album is for you. If not, you may want to pass on this one. Personally, the whole thing has gotten repeat listens from me, particularly with its attention to detail and how each song could be its own movie. Check out the released movie posters that go with each track and go back to the future with one of the best releases of the year. If we're being honest, this album does get some recognition based on the name alone. It was the first solo release from a man who seemed content to just join/organize as many bands as he could. 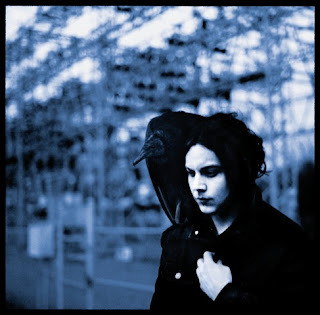 On Blunderbuss, you can see that Jack White's genius can still shine through, but it does much in a way of a Picasso piece. You know that you have art in front in you, even though you may not understand half of it. Take the schizo approach to the first two released singles. "Love Interruption" was a light guitar-picker while "Sixteen Saltines" was an absolute blaze of a track that ranks up their with "Demons" by Sleigh Bells as my favorites of the year. However, ask me to tell you what the hell he is talking about in that track and I do not have an answer. The rest of the record is a little more of the same. Some of the stories connect - "Missing Pieces" - while some just sound cool with elements of folk, ragtime and rock and roll thrown in. "I'm Shakin" is a fun song that showcases White being born in the wrong decade. Of my top 5, Blunderbuss is one that is the most likely to get knocked out, especially with a strong September (Green Day, Muse, etc) coming up, but for now it's sitting pretty as a release that for once lived up to expectations. I saved the best for last and at this point I'm glad I saved the time on the review. If I would have written about it when it came out in April, I would have discussed how I felt it lacked a punch to really connect. Now that I have spent some time with it (and I mean a lot of time with it) I feel I am able to see more clearly what the band was trying to do. 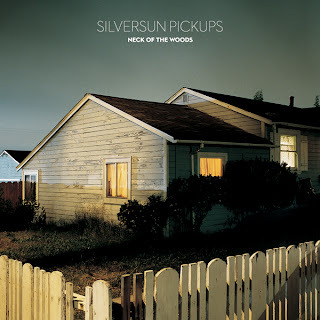 The album resembled a listening structure of climbing a mountain - low valleys at the beginning ("Make Believe") a peak in the middle ("Mean Spirits") and a climax at the end to bring it all together ("Out of Breath"). Why this album got rated so high is that it's hard to pick out any one track to identify it. In order to look at the entire scope of Neck of the Woods, you have to look at the entire track list. The album cover works here as well - a seemingly ordinary house taking residence in a seemingly ordinary neighborhood. But listen to the lyrics in tracks like "The Pit" (a standout track with nods to Joy Division) and you can tell the album carries somewhat of a theme as music videos to all the tracks could take place in the same neighborhood. Last year, Manchester Orchestra released a third studio album that I felt could put them on their way to being one of the biggest names in alternative rock. 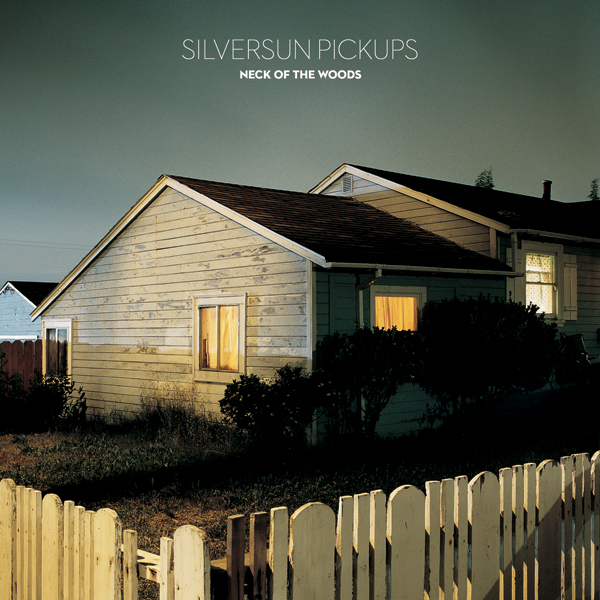 This year, Silversun Pickups did the exact same thing with Neck of the Woods.